Yarns in bedrooms might be a familiar sight of your grandparents’ home from when you were little. Here at KOEL, we want to show you that yarn can belong in your sanctuary. It’s the reason we even started KOEL: to stylishly bring yarn and interior decor together. We know … yarn can be a little unappealing because it’s almost always associated with the elder folks, with their passion to knit and crochet and weave anything and everything under the roof (and more, if time permits!). Your space though, need not be as outlandish – because KOEL believes in balance. Too much of anything isn’t good for any of us! 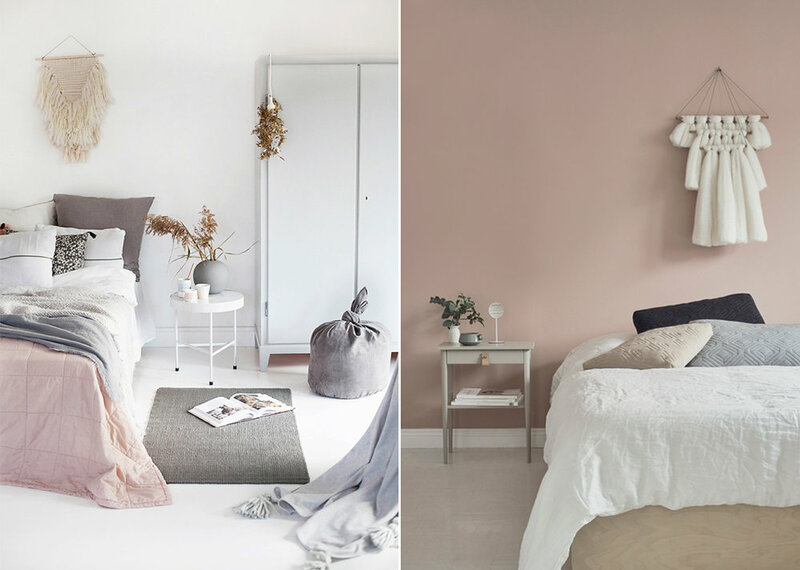 We’ve found a couple of inspiring cues you should definitely heed… Scroll down for styling ideas to steal for a gorgeous yarn-decked bedroom. Once upon a cold, wintry day, chunky knitted throw-overs will be your best friend. You won’t be able to imagine life pre-knitted throw-overs in fact. You will make them your bedroom staple, with its soft and warm fibres. They’d be the reason you’d never want to leave your bed, and in turn, they will never leave your space. The catch is to keep it chic by selecting a neutral yarn colour that goes well with your interiors. When in doubt, go for the grey. A good shade of grey instantly adds coolness, we guarantee. Macrame, the perfect ingredient for a touch of bohemia. Showcase your greens in a different way by hanging them from the ceiling instead of simply displaying them on the bedside table or juxtapose the modernity of your room with a statement macrame wall hanging piece. 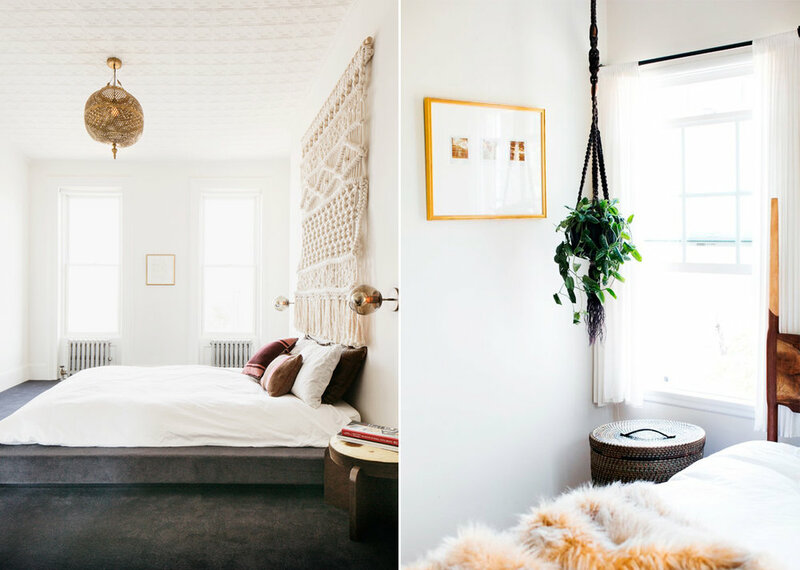 Wall hangings are becoming a quick trend that’s taking over the Instagram and Pinterest pages fibre by fibre. Layered textiles are definitely in, so don’t hold back on experimenting. If you’ve got a lot of wooden furnitures and floors, add charisma into your bedroom with the tender appeal of yarn.